The Theatre Centre is preparing to open the doors of its new home in January 2014. We’re teaming up with Mammalian Diving Reflex and the Torontonians for our inaugural show in the space – and we need your help! Your books will play a significant part in this new piece. Tell you Friends. Tell your friends’ friends – because we need 100′s of books. 3. 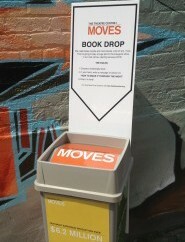 Drop it in a Drop Box! 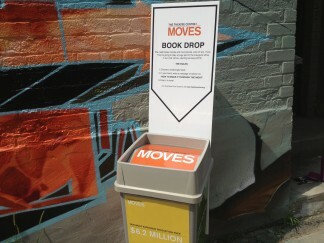 Throughout the summer, there will be Book Drive Drop Boxes at participating locations – there will be plenty of time for you to go home, scour your library, choose the perfect book for donation and drop it in one of the Drop Boxes.